While catalysts are vital to various processes, it is equally critical to recover them. When you recover them, the cost of production reduces, which has a cascading effect on your entire pricing and profitability. When you recover catalysts, you also purify the process fluid. Spillage while transporting the catalyst-laden fluid can be hazardous, so the best solution is to treat them within the premises. And if you utilize heterogeneous catalysts, filtration is the way to recover your catalysts. 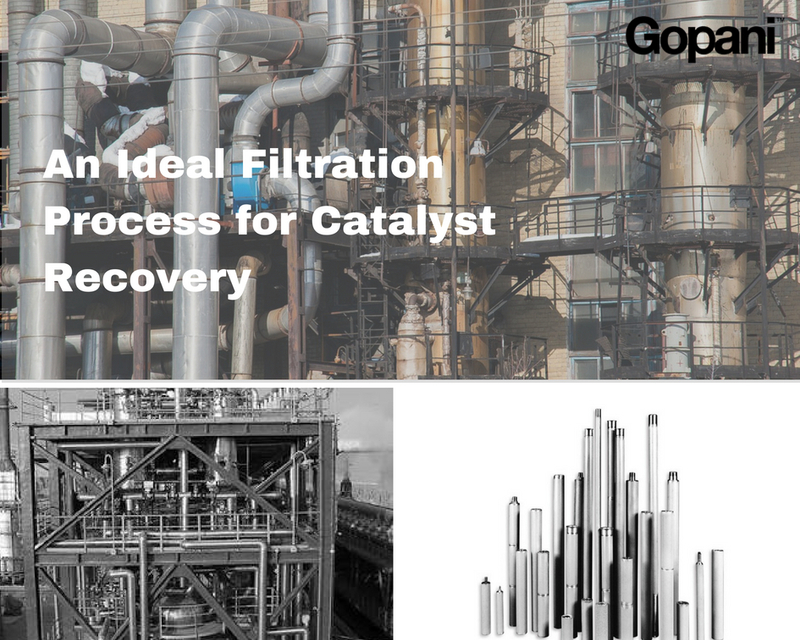 What is expected of a filtration system for catalyst recovery? They should be highly efficient. Precise filtration would lead to the higher recovery of catalysts and a more reliable purification of the fluids. In-situ cleaning should be possible. The changeover of elements or disassembling for cleaning leads to longer downtime and consumption of manhours. The temperature of the fluids can be high or the chemistry might be harmful to humans. So the systems should be designed in such a way that the operator has least or no exposure to the process fluids. The filter elements should be highly resistant to high temperatures and extremely reactive fluids. They should also possess excellent mechanical strength to withstand variations in pressure. The leakages and spillages can be harmful and costly, so the system has to be leak proof. A host of solutions can be offered for catalyst filtration, but we highly recommend using sintered porous metal tubes for catalyst recovery. These tubes, housed in filter housings, offer precise filtration which results in higher recovery. You can either opt for automatic backwash system, or you can have the provision of in-situ cleaning. The assembly operates for a long duration before it needs any maintenance; hence the downtime and the consumption of man hours is very low. There are absolutely zero chances of any kind of leakage or spillage. So, these systems are: precise, safe, cost-effective, and easy to maintain. Produced from an array of high-quality metals and alloys. Based on their material of construction, many elements are compatible with harsh fluids. Easily cleanable with in-situ cleaning. Available in both open-end and closed-end configurations. We at Gopani have been designing and producing filtration systems since 1993. Today we are amongst the most dependable filtration solution providers. 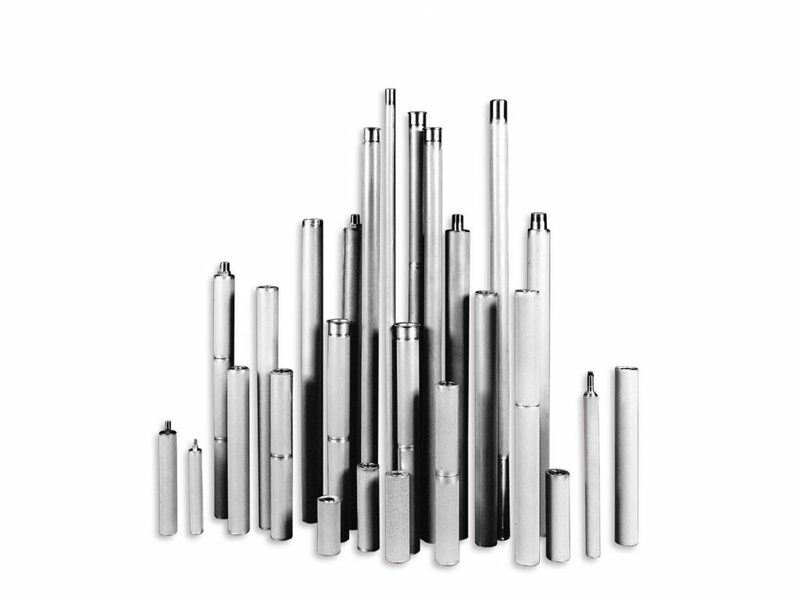 For producing gas filtration and catalyst recovery systems, we have partnered with Mott Corporation (Connecticut, USA), they are a name to be reckoned with when it comes to porous sintered elements. So, we utilize their elements and our expertise in designing and producing filtration systems to offer you the most suitable solution. Our team closely works with you to understand your process parameters so as to design the most efficient system for you. Note: To talk to us about our solutions and services for vapour recovery, you can either write to us at info@gopani.com or you can fill up the inquiry form by clicking here. Our journey started in 1993 with a clear objective of helping solve a range of challenges faced by the industries through our knowledge of filtration. We have produced filtration systems for numerous different applications spread across diverse industries. Even as you read this, there are solutions being designed and produced by our team of experts. Our systems and products can be found operational at various locations across the globe. When you utilize our expertise, you also get the advantage of our pool of filtration experts and our state-of-the-art manufacturing facilities. Every product of Gopani is meticulously produced to deliver exceptional performance. Today we cater to a big and diverse clientele which comprises of customers like you who do not prefer anything less than the best. Their belief in us and our unrelenting urge for innovation has made us one of the most bankable filtration solution providers.